My name is Teresa. I am a medium on a mission to help save lives. I know what it feels like to be different and face challenges that make you feel like you want to die. From the time I started school until I graduated high school, my peers bullied me about my weight. I suffered from depression and anxiety, and I was afraid to tell anyone. I grew up feeling alone and scared thinking this would never end. I thought that I would always be made fun of and that I would always be seen as fat. My parents reinforced these feelings so home was not safe place either. Inside, I felt detached and worthless. I contemplated suicide often. I finally attempted suicide several times, and each time my Guardian Angel appeared and talked with me. I have always been able to see heavenly spirits, including my Guardian Angel, as far back as I can remember. 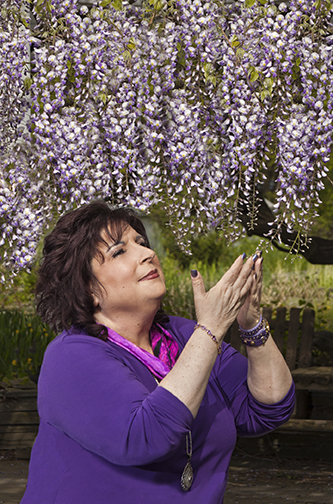 I have learned so much from my own experiences and from the work that I do as a gifted spiritual messenger. 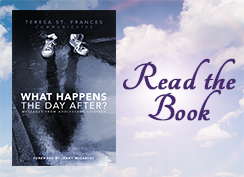 I am the author of the 5 star suicide prevention book “What Happens the Day After” Messages from Adolescent Suicides. My book provides a positively insightful view of the interactive healing aspects of spiritual communication. I use my diverse gifts, with the help of my “TAG TEAM”, to educate and transform the way children, parents, and educators cope with adolescent suicide. If you think that your life does not matter and you are having problems coping with bullying, depression, anxiety, fear, drug addiction, rejection, or anything else, there is help. You are not alone. You are important. You have a purpose. Let me be one of the healing tools to help you find your way into a better state of being. Let’s work together spiritually to give you the LIFE THAT YOU LOVE. If you are a parent, a relative, or a friend who thinks they might know someone who is struggling, let’s work together. I can help you understand what to look for in their behavior, attitude, and language. My experience and my spiritual connection offer you a unique perspective into this important issue. Please join me as we talk about how to prevent suicide.